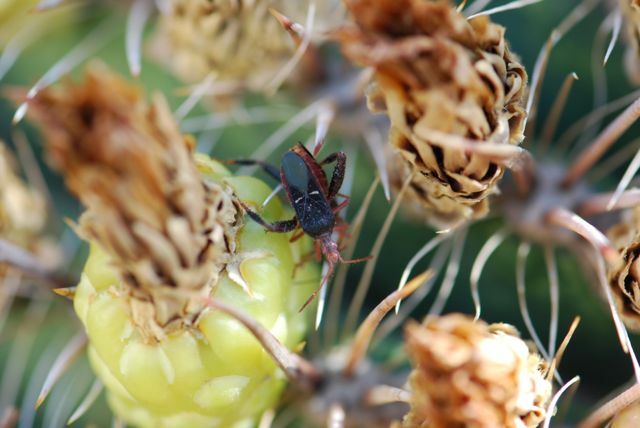 We have had bugs on our barrel cactus almost all summer. 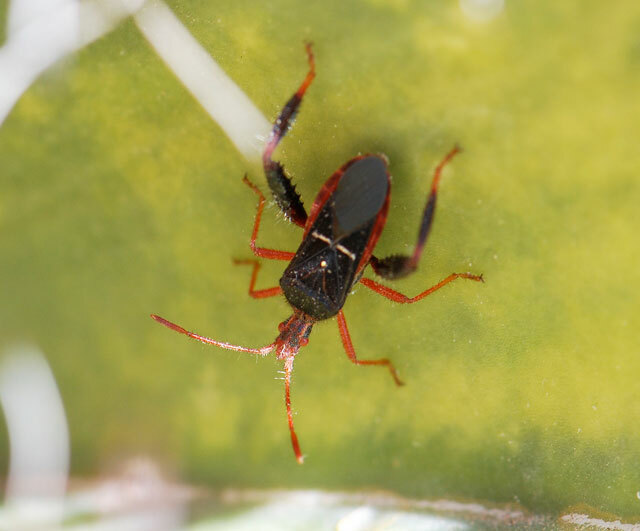 By bugs, I am referring to true bugs called cactus bugs, genus Narnia. 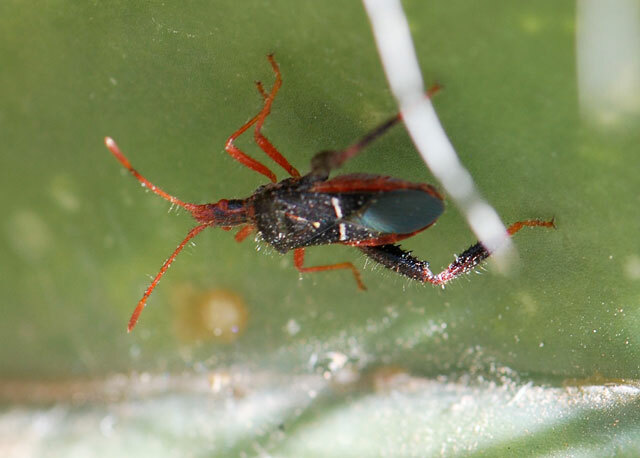 Although they look like leaf-footed bugs, notice the enlarged hind legs with spines and lack of the leafy expansion that gives the leaf-footed bugs their name. 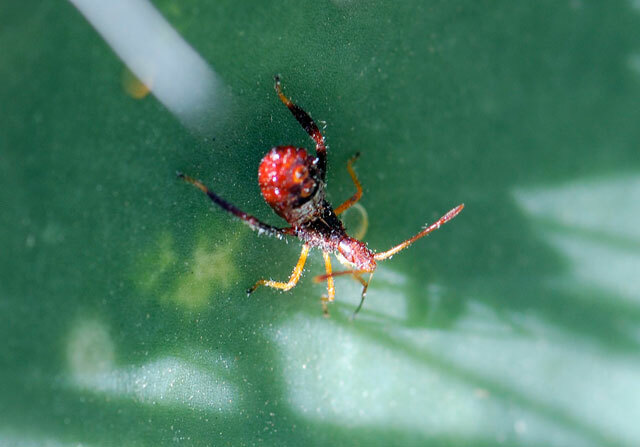 The cactus bug nymphs are bright red. Like the adults, they move slowly away when approached. They tend to hide behind the cactus spines and in the folds of the cactus. Quiet and cautious, no one really pays much attention to them. Just some simple bugs spending their lives on a cactus. They are living in our Saguaro cactus. Will they kill the cactus? We sprayed them with bug killer, will that harm the cactus? A few bugs shouldn't hurt a big cactus much. Just make sure it isn't getting too much water and is getting plenty off sunshine, and it should be fine.